The Métis Nation of Alberta is undertaking fall engagement sessions concerning Community Based Climate Monitoring, under the Climate Change Action Plan passed at the Annual General Assembly in 2017. The purpose of these engagements is to determine priorities concerning environmental monitoring in communities across Alberta and move forward with implementing a data collection and environmental monitoring program. Drayton Valley is home to six public schools, adult literacy and training, and post-secondary education. 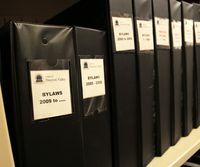 Familiarize yourself with the town’s most requested bylaw information.